Alessandro Gagliano is the first known Neapolitan maker. He began his work in Naples around 1700. While it is not certain where or with whom Gagliano received his training, he created his own models and developed a distinctive style which soon brought him wide recognition as a leader in the field. He produced violins with extraordinary playing qualities that still make them some of the most coveted concert instruments today. 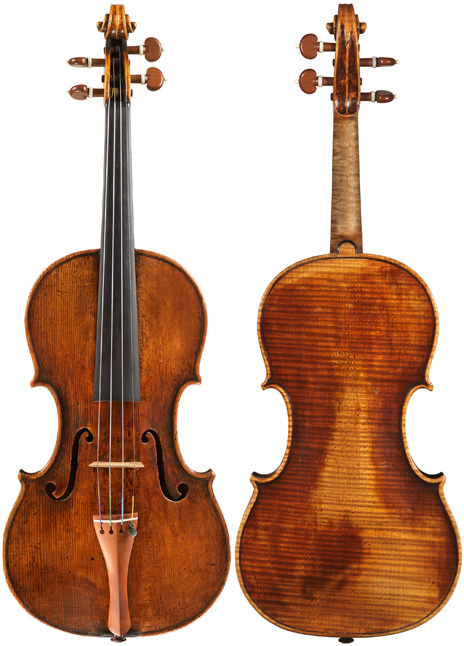 His finest instruments have great nuance and character and are exceptional tonally with powerful projection: all characteristics evident in this outstanding violin. Gagliano became the patriarch of the celebrated dynasty that lasted until the mid-19th century. We have been privileged to handle several of the best violins crafted by the master maker, including this marvelous example.